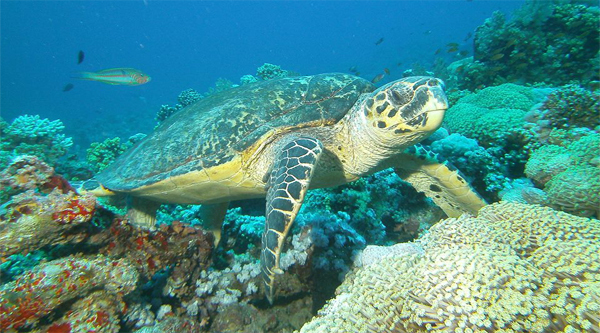 One of the most beautiful diving sites all over the world which is considered to be the best site for diving and snorkelling with its famous Yolanda, Old Bay and Khashaba beaches are waiting for new divers to explore. 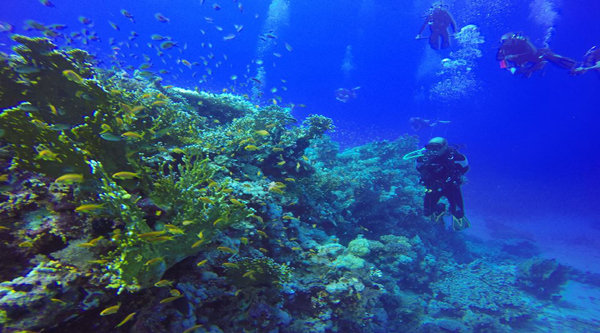 Diving in Ras Mohammed National park. It is a large bay just north of Ras Mohammed, offering an excellent anchorage for overnight boats, especially in bad weather. On the northern shore is a 50-foot sand dune, ending at the water's edge. The view from the top of the dune is spectacular, and it's fun to run or roll down the sand into the water (unavailable now). 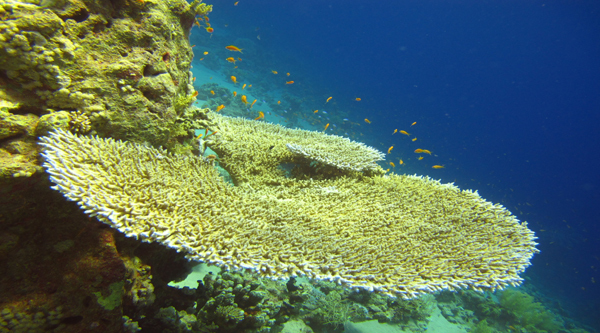 Diving near the north end of Marsa Bareka is marginal, because sand flows have killed most of the corals. 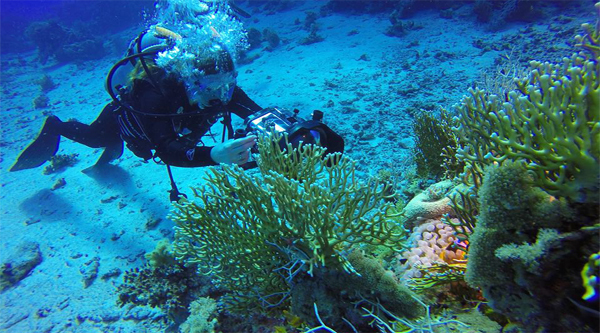 The best dive site is its southern point, RAS AT AR. Beginning at the surface, the fringing reef drops off in a sheer wall with caves and overhangs. Table corals project horizonally from the wall. Large schools of barracuda and snappers can be observed swimming by. Due to strong currents, this is usually a drift dive. It extends from the eel garden in the north to the Shark Observatory in the south, a distance of nearly a half kilometer. Above the surface is a sheer limestone cliff with a fringing reef below. Its southern end is a large rock formation called the Shark Observatory. The Israelis built a stairway and a railing from which to watch schooling fish below. Directly beneath it is the sheerest and deepest part of the wall. This spot is for advanced divers only. There is no place for a boat to anchor and it's too long to swim from the beach, so it can only be done as a drift dive. Prevailing northerly winds usually make it choppy near the wall. Therefore, the boat will drop and pick up divers about 30 yards away. The wall is too long and there is too much to see for just one dive. Maximum depths range 80 feet to over 300. 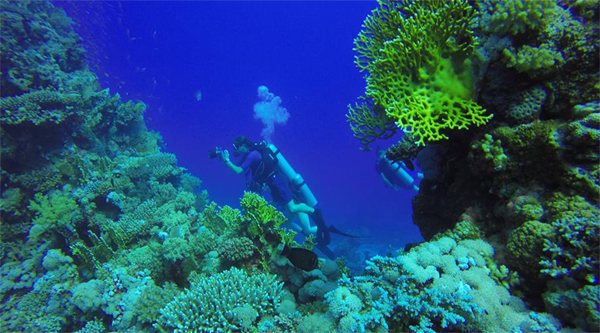 Although the scenery at 30 to 60 feet is the most colorful and spectacular, the temptation is always there to go deeper. Watch your depth and bottom time. Ras Mohammed is the masterpiece of wall dives. Drifting southward with the gentle current, every ledge and crevice has something different to catch your eye and dazzle your mind. Colorful soft corals grow from overhangs, surrounded by Anthias, which flutter around the wall like butterflies. Giant gorgonian fans, up to 15 feet across, spread horizontally on some of the ledges. A few areas, especially in deep cevices, are dark and comparatively devoid of life. Others' are brilliantly colorful and alive with activity. Caves provide refuge for soldierfish, hatchetfish, and silver sweepers. Points and outcrops can be rainbows of brilliant colors. The perceptive diver will remember to look occasionally toward open Water. Facing into the deepest waters of the Red Sea , the wall of Ras Mohammed attracts pelagic species in search of prey. Schools of jacks or tuna, or perhaps a shark or an eagle ray, may swim by. At the north end, an 80-foot sand plateau is virtually covered with garden eels. To the south, underneath the Shark Observatory, the sheerest wall drops straight down well beyond diving depth.